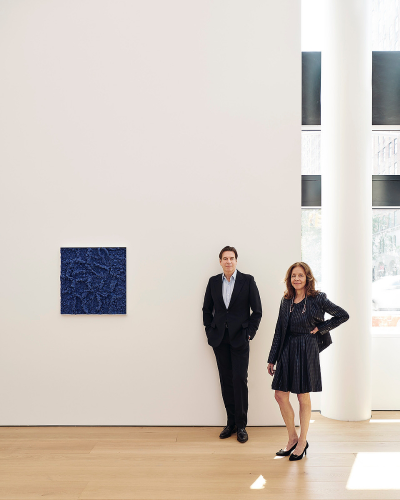 Rachel Lehmann and David Maupin founded Lehmann Maupin in 1996. In addition to its diverse American artists, Lehmann Maupin represents artists and estates from across Europe, Asia, Africa, and the Middle East, and has been instrumental in introducing numerous artists from around the world in their first New York exhibitions. Known for championing artists who create groundbreaking and challenging forms of visual expression, the gallery prioritizes personal investigations and individual narratives. Lehmann Maupin prizes the distinct conceptual approaches that its artists offer on the essential matters that shape international culture today, including gender, class, religion, history, politics, and globalism. In 2013, with two locations in New York, significant interest in its artists abroad, and with the dynamic opportunities of new markets evident, Lehmann Maupin opened its doors in Hong Kong, followed by Seoul in 2017.